In March, Jay Piscopo’s new graphic novel “The Undersea Adventures of Capt’n Eli – Volume 3: The Mystery of the Devil’s Sea” will be available in comic shops nationwide. The long awaited Volume 3 of the Capt’n Eli saga explodes when Eli and crew find themselves trapped in a global war between the surface world and the undersea Aquarian Empire. Lord Hydro’s giant war robots threaten destruction to all the major cities on the planet unless Capt’n Eli is caught and tried as a renegade for the kidnapping of Princess Coral. 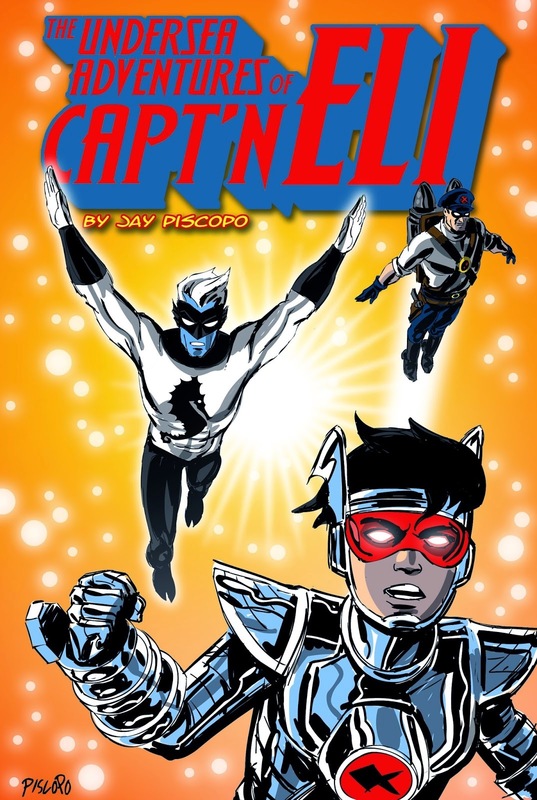 All of the “Capt’n Eli” graphic novels can be purchased online at www.captneli.com.